A great innovative kit that introduces you to the world of coding and programming. With this game based introduction to coding, you'll use the game pad to play through 15 fun game levels on your tablet. Plug one of the four interchangeable sensorbots into the game pad to activate its special powers and control the game. Solve puzzles and learn the basics of the Arduino programming language and gamepad technology. Connect the physical and digital worlds, become a programmer and apply your knowledge to 34 cool projects and experiments. 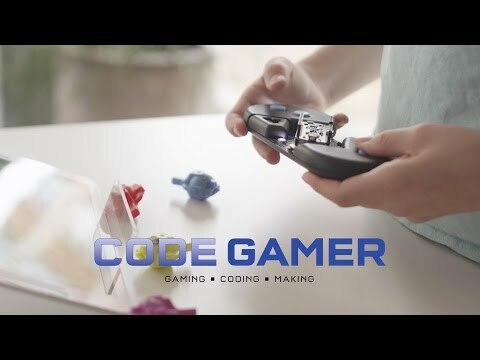 Gaming, Coding and Making.